Falling back is never fun. Sure, we gained an hour of sleep Saturday night, but does that really make up for the 4:30 sunset? Not even close. 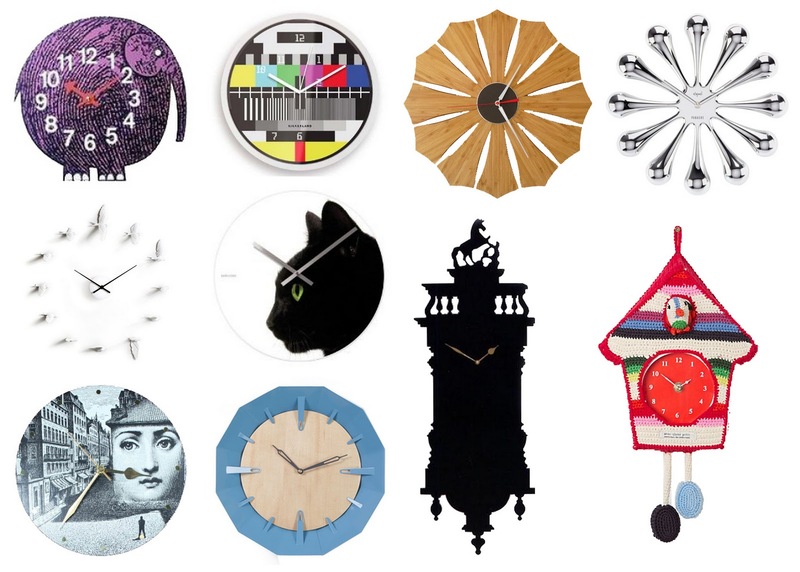 I seem to be feeling especially jet lagged this year, but an imaginative wall clock is the perfect remedy. The afternoons may still be dark, but at least these can put a smile on my face. *Don't forget: I'm giving away a $100 Rent the Runway gift card! I want that elephant clock. That would make me feel much better in the dark! I bet you'd expect me to say the cat clock is my favorite...but I love the elephant! Probably because it's the easiest to read. Najeema, you're a traitor to cat lovers everywhere! cute! cute! cute! love that knitted guy! You find the coolest stuff! I love the elephant one!